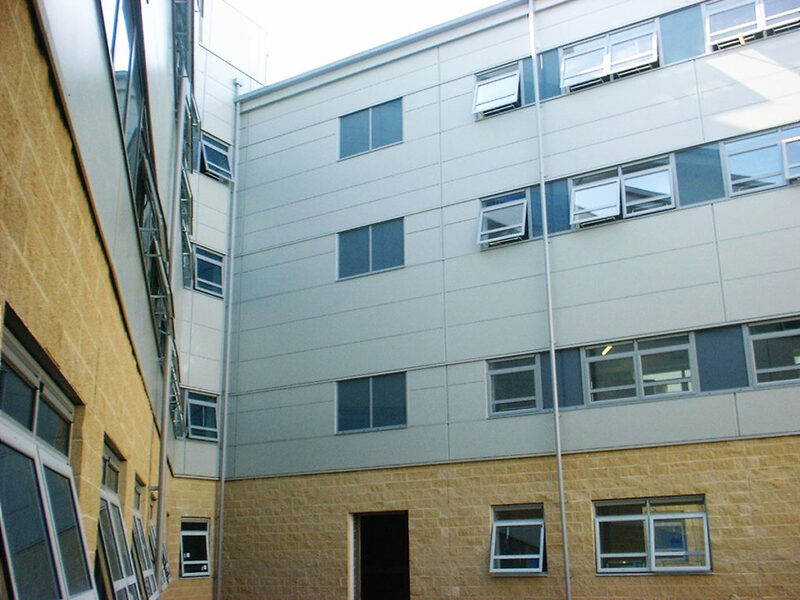 Contract awarded to provide new cladding and fascia works to new blocks 91, 92 and 93 on the hospital. 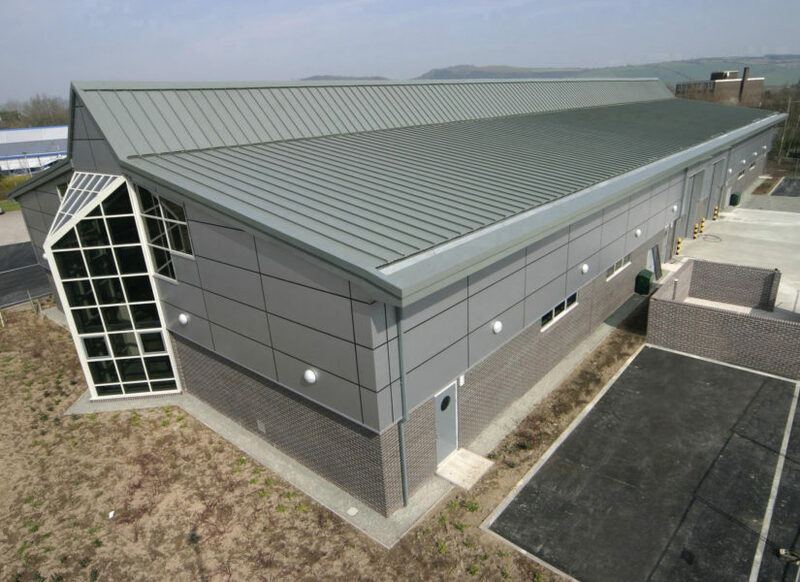 Curved standing seam roof with a Corus 0.70mm thick enamel liner and AshZip 0.90mm mill finish stucco embossed aluminium outer sheet including all necessary supports and insulation. Also included to areas was Corus D46 decking in 0.70mm and 0.90mm thick galvanised steel. Kingspan KS900 and KS600 Mini Micro composite cladding colour HPS200 Goosewing grey, fixed horizontally with a vertical top-hat joint arrangement. Along with all associated flashings in 3mm aluminium Polyester Powder coated material.